Xiaomi today launched the Xiaomi Mi Max 2 at an official event in China. The phablet device has been a popular device in most of Xiaomi’s markets. 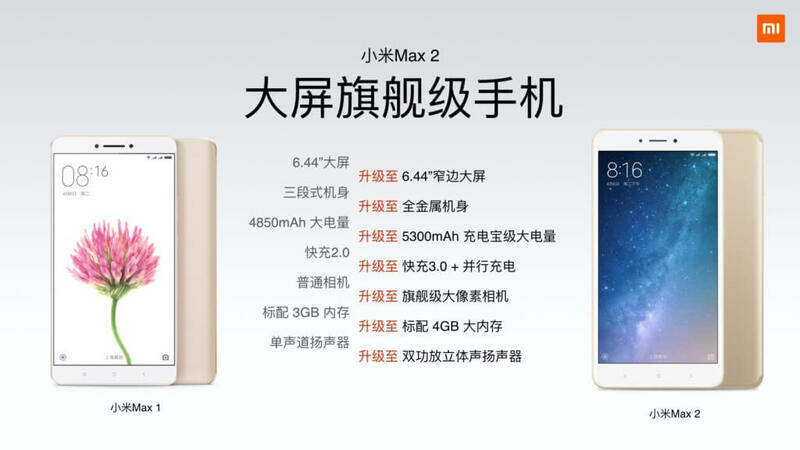 The Xiaomi Mi Max 2 will replace its predecessor the original Mi Max which was the only other phablet device launched by the company. So without any further ado, let us get into what Xiaomi has for us with the Max 2. On the exterior design front, Xiaomi has not changed the looks of the Mi Max 2 compared to its predecessor. In a cursory glance you could very easily mistake one phablet for the other but upon closer inspection, one can pick out the nuances of the devices. One of the major changes to the Xiaomi Mi Max 2 is the redesigned antenna bands which are seamlessly integrated into the edges thus improving the aesthetics. At the back, the company has switched the position of the dual-LED flash from the right of the camera sensor to the left. The rest of the components retain their positions including the fingerprint scanner centered below the camera sensor. The next major changes are at the bottom of the phone where the microUSB 2.0 port has been swapped out in favour of a USB Type-C port flanked on both sides via speaker grills which actually house a stereo speaker setup instead of aesthetic symmetry. The presence of a Type-C port thankfully does not herald the omission of the 3.5mm audio jack though which is at the top of the device with an IR blaster. Flip over the phone though and you would be mistaken that Xiaomi has done nothing to change the aesthetics of the front which is dominated by the 6.44-inch full-HD (1080 x1920) display as the Mi Max. 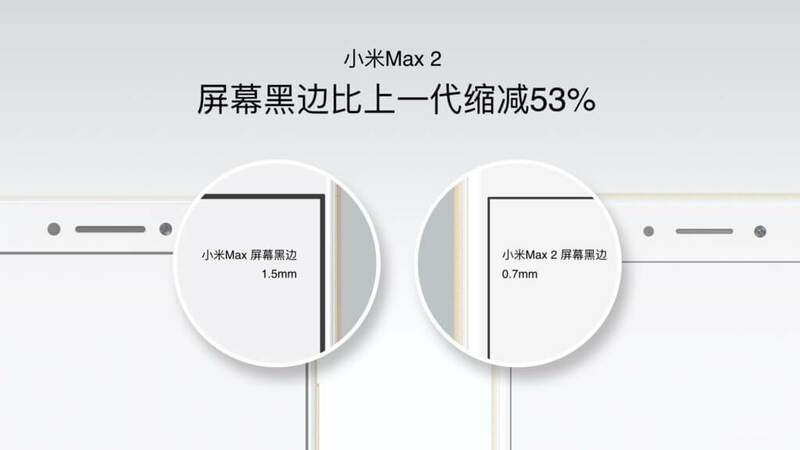 Xiaomi does claim that it has reduced the black borders at the edge of the screen which are ever so tinnier than the original Mi Max’s borders. Along the right side of the frame, one can see the volume rocker and power button while on the left of frame is the SIM-tray. 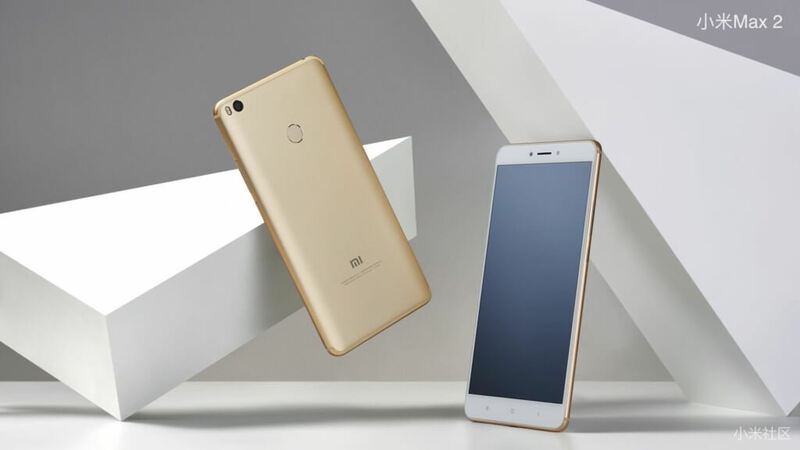 What the Mi Max has been known for is, is its battery life and the Xiaomi Mi Max 2 has been provisioned with a generous 5300mAh battery that the company promises is good for 18 hours of video playback, 9 hours of gaming, 21 hours of navigation or 57 hours of continuous talktime. To make sure you are never left high and dry, the battery is also supportive of Qualcomm QuickCharge 3.0 which allows you to recharge up to 70% of the battery in about an hour. On the OS front, Xiaomi has tweaked MIUI to improve the user experience on the Xiaomi Mi Max 2. This is apparent in features like a quick access ball which can be used to open the most frequently used applications and a one-hand operation mode which helps in ease of operating a device with a 6.44-inch display. Xiaomi has even made a custom split-screen mode for maximising the utility of the display. Although the company did not mention which version of Android the phablet was running, it is most likely to be Android v.7.1.1 under the MIUI v.8.2 skin. The Xiaomi Mi Max 2 starts at ¥1,699 (~$250) for the base variant (4 GB RAM and 64 GB of storage) which the 128 GB variant will set you back by ¥1,999 (~$290). The device would be available for purchase on June 1 from online as well as offline stores.